Found 4 file extension associations related to ECM for Mac and 1 file format developed specifically for use with ECM for Mac. 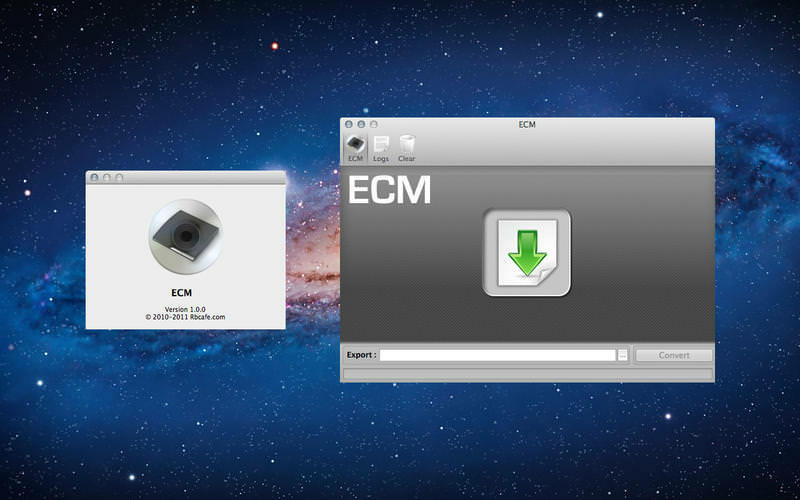 ECM for Mac allows users to reduce the size of a typical CD image file (BIN, CDI, NRG, CCD). It works by eliminating the Error Correction/Detection Codes (ECC/EDC) from each sector whenever possible. The encoder automatically adjusts to different sector types and automatically skips any headers it encounters. The results will vary depending on how much redundant ECC/EDC data is present. If you need more information please contact the developers of ECM for Mac (Rbcafe.com), or check out their product website.